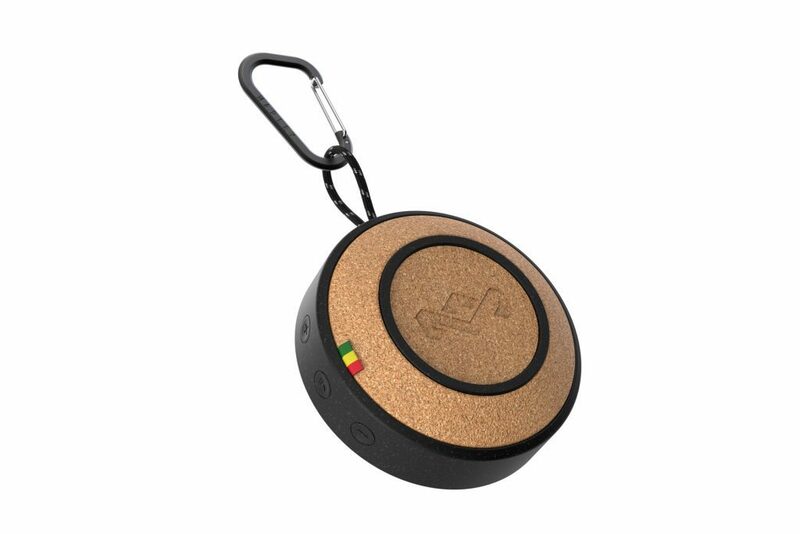 We’ve reviewed some products from The House of Marley in the past. It seems to have been a while, so I’m glad we have another chance with this little Bluetooth speaker called No Bounds. This cool product is eco-friendly. House of Marley is known for using recycled materials in their products, and this one is no exception. The fabric on the speaker side is Marley’s signature rewind fabric. The cork that you see on this back side is sustainably-harvested cork known as Regrind Cork. This, combined with the Regrind Silicone, allows the speaker to float on water! The House of Marley will also plant a tree for each product purchased. The speaker is IP67, which means it’s waterproof and dust-proof. The little carabiner clip on the speaker makes it great for clipping to your backpack and carrying it wherever you are headed. The battery life is up to 10 hours, and it charges in about two hours when you use the included cord. a little red led light will tell you when it is charging. You can connect it with another speaker to make a bit of surround sound. In dual mode, you get a range of about 10 meters. When just using one speaker, you can be 30 meters away from your connected device. It’s very lightweight- less than one pound, but has good quality for a small speaker. If you would like to purchase this speaker that comes in colors of black, gray, red, or blue, they are $59.99 with free shipping on their website. We received one of these speakers for free for the purpose of our review. No other compensation was given for our fair and unbiased evaluation. We will receive some compensation for any purchases made through our Amazon Affiliate links.